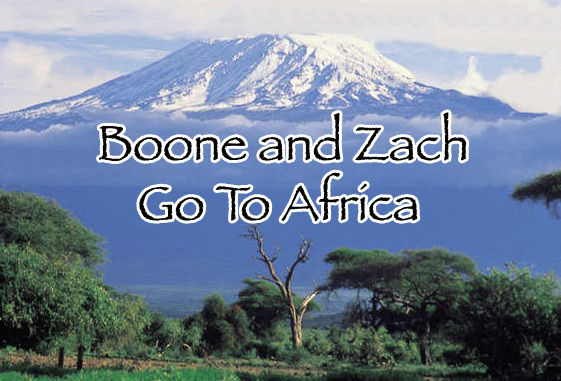 Boone and Zach Go to Africa: Wer'e Still Alive! wow!!! It is amazing what you guys are doing!!! God is incredible!! My friend and I stumbled across this somehow, and now it has made it to my Youth Group (I know it sounds strange). I hope that God continues to work in you guys!! Good luck and God Bless!